Volume Level - G. A. L. E. S. L.
Too low and I can't hear what you're saying.Too high and your voice becomes distorted and our ears are hurt. 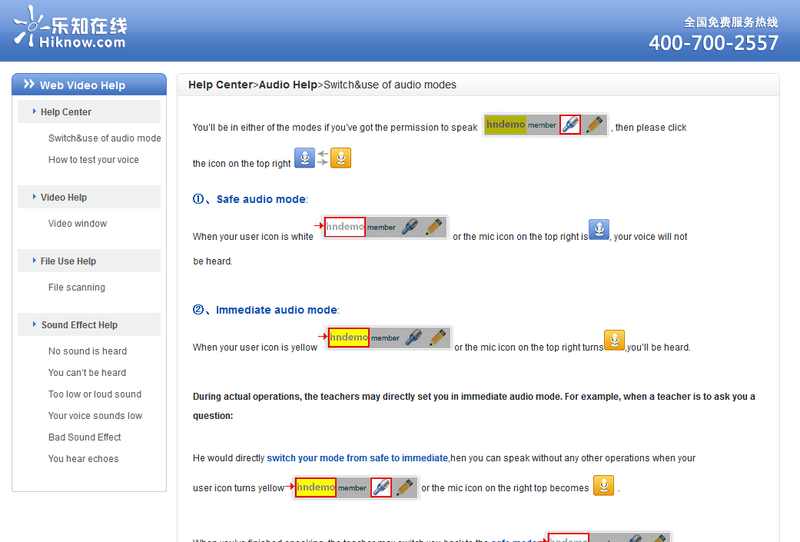 You can adjust volume in the settings of your operating system, but also in the Hiknow classroom software. 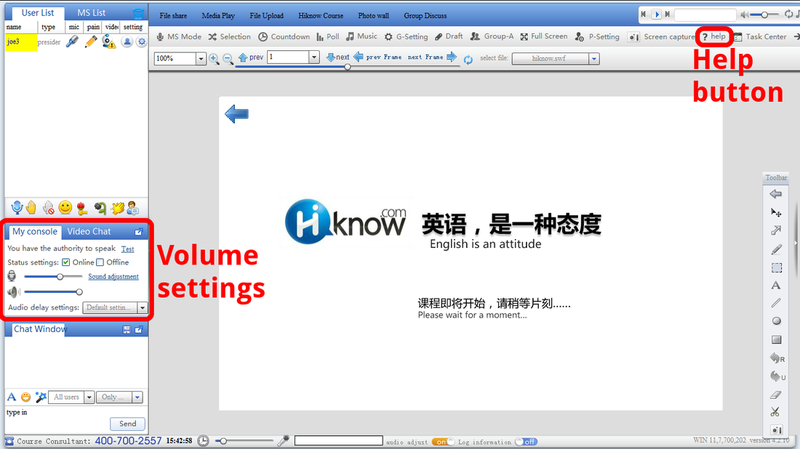 Screenshot of Hiknow classroom, with volume settings and Help button highlighted. 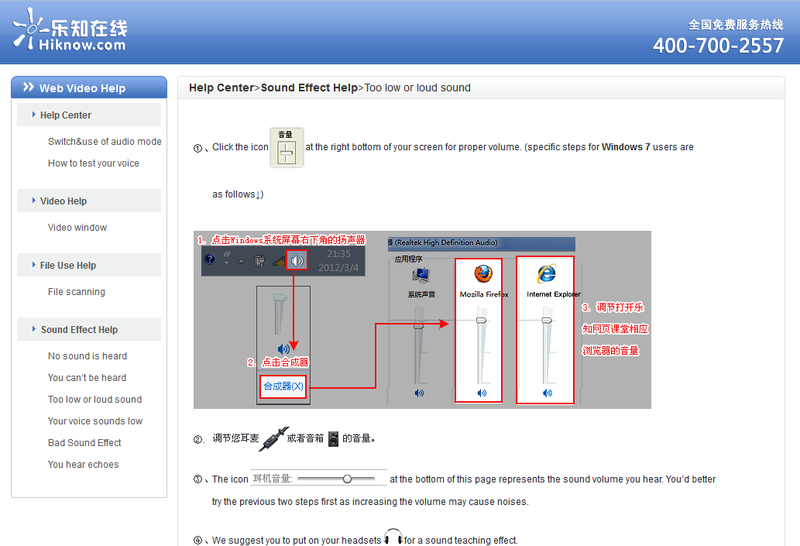 Hiknow sound help page on adjusting Windows volume levels.